Dating back to ancient Greece and Cyprus in 800 BC, concrete is a substance that has become — quite literally — the building blocks of our life. 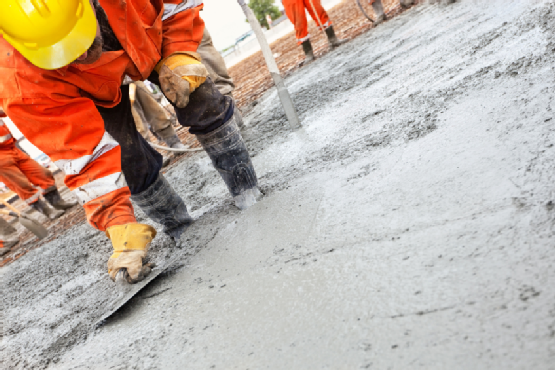 Used to make everything from bridges and sidewalks to building foundations and structures, concrete has proven to be a tough, reliable, and malleable material. But just how tough is the stuff? Are there other building materials that we should consider using in place of concrete for more durability and longevity? Read on for an evaluation of the toughness of concrete. If you’re a science buff, the phrase ‘fracture toughness’ makes total sense to you. For the rest of us, fracture toughness refers to a material’s ability to resist fracturing as a result of pressure placed upon the material, and is one of the most common methods of testing durability. The formula for a material’s fracture toughness is denoted by its stress intensity factor and the amount of energy required to form a crack in the material. Not surprisingly, when comparing different materials, steel has a much higher fracture toughness number (50) than does concrete (.2-1.4). If materials are more likely to fracture, or crack, under pressure, its also more likely that they’ll be less stable, deteriorate earlier, and need to be replaced sooner. Another way you can test the strength of concrete is through a ‘hardness’ test. The hardness of a material refers to its ability to resist scratching or indentation when coming in contact with another material. Invented by Friedrich Mohs in the 1800s, the Mohs Hardness Test scale ranges from 1-10, with a 1 being the least hard and most impressionable, and a 10 being the hardest, or unable to be scratched. An example of a 1 is talc, and an example of a 10 is a diamond. Titanium, a common material used in building, is a 6. Concrete, on the other hand, can rate as high as 9 on the hardness scale, depending on the brand, mixing process, and setting process. Just because a material is ‘harder’, though, does not make it necessarily stronger or more durable. Despite the fact that concrete might not be as tough as some other materials out there, it’s still one of the most common building materials in the world. While concrete may be lacking in strength — as well as other things, like energy absorption — it makes more sense to improve concrete than to replace it altogether. Concrete can actually be improved and reinforced by adding small fibers to the concrete mix during the mixing process. The short fibers help to bridge cracks within the concrete, increasing the material’s durability and flexibility. Studies have shown that adding such fibers to concrete significantly improves that material’s tensile strength properties, or the material’s ability to resist tension. Adding fibers reduces the number of defects in concrete and leads to better performance, allowing concrete to maintain its position as the most commonly used building material in the world. Phillip Bowman writes on home improvement, home maintenance, metalworking, construction, renovation, remodeling and other like topics. Those in need of an experienced concrete contractor in the Houston metro area are strongly encouraged to click here for further information. Image credit goes to Andreanna Moya Photography.